The increasing scarcity of water around the world prompts heated debate over the effectiveness of conservation efforts and policy initiatives. Is water becoming increasingly scarce? If recent usage trends continue, many people believe that shortages are inevitable. 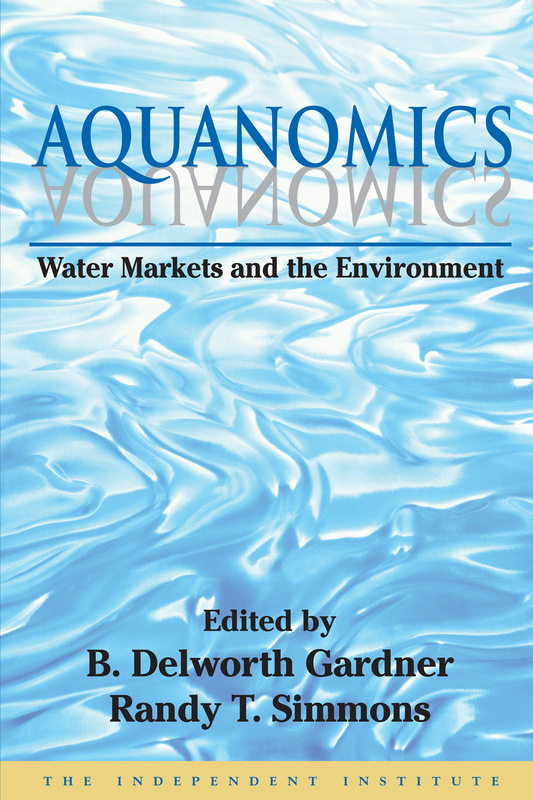 Aquanomics, edited by B. Delworth Gardner and PERC Senior Fellow Randy Simmons, comprehensively examines a full range of water problems. Authors, including PERC Fellows Brandon Scarborough and P.J. Hill, reveal measures that should be implemented to avoid the onset of possible “water crises.” These policies include establishing secure and transferable private water rights and extending these rights to uses that traditionally have not been allowed, including altering in-stream flows and ecosystem operations. The authors argue that such policies will help maximize water quantity and quality even if water becomes scarcer and more valuable. Mark Twain once quipped, “Whiskey is for drinkin’, water is for fightin’ over.” However, the authors of Aquanomics now provide proven solutions to such potential conflicts by establishing the validity of market-based approaches. Buy Aquanomics here from The Independent Institute.